A lot of the recent "PR" posts on my blog lately have been about Australian and NZ whiskies winning awards around the world (which is fitting because a) this blog is supposed to have the occasional Australasian focus and b) Australian and NZ whisky is bloody good). That trend continues with news from Sullivans Cove recently that they've just been awarded a gold medal by the Beverage Tasting Institute in Chicago, for their "Double Cask" expression. "This award, from one of the world’s leading independent beverage reviewers, was given to the distillery’s Double Cask expression. It adds to Sullivans Cove’s list of prestigious international awards, which includes three Liquid Gold Awards from Jim Murray, and “Best Australian Single Malt” from the World Whisky Awards in London. The sharp rise in demand has meant that the distillery is now working flat out to produce enough spirit. The Tasmanian whisky industry has seen very strong growth over the past two years and there are now eight functioning distilleries on the island with 2 more in the pipeline." 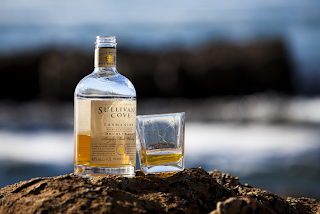 We congratulate Patrick and the Sullivans Cove / Tasmania Distillery team, and look forward to their (and Australian whisky in general's) continued success.